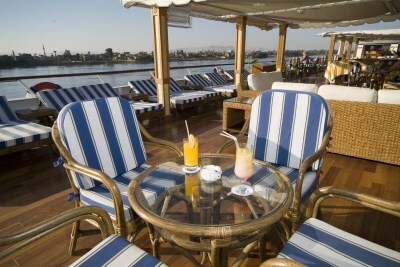 Food, drink and entertainment: The Board Restaurant (buffet and a-la-carte specialties),lounge bar/disco, sun deck bar with a fantastic Nile view. Sport, games and activities: Sun deck with swimming pool and recreation area including jacuzzi, massage (extra charge / reservation / 16yr +) and fitness machines (16yr +). There is also a billiard table, darts, anda library corner. 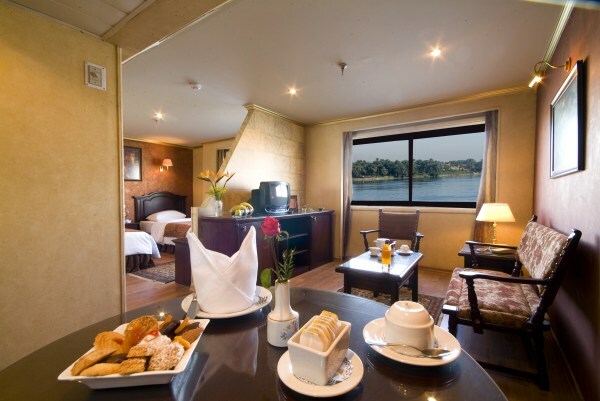 Additional: The Cruiser has a 24 hour reception area, bell captain, multilingual staff, laundry service and a doctor. There are also souvenir shops, a boutique and a jeweler.